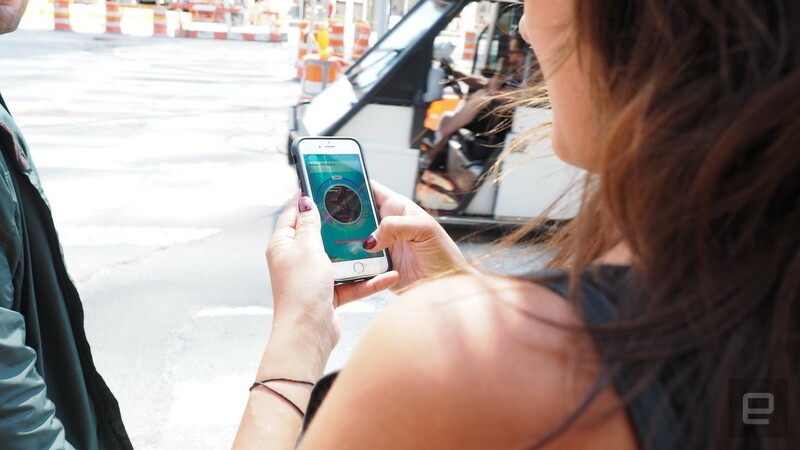 Niantic's capture fest might be the killer app that augmented reality needs to catch on. Pokémon is a thing right now thanks to Pokémon Go. Niantic's AR creature-catching game is number one in both the Android and iOS app stores, and it's on track to have more daily active users than Twitter thanks to an install base of 7.5 million players so far. It was impossible to go out this past weekend without being surrounded by Pokémon Go players of all stripes -- a lot of kids, sure, but plenty of adults, too. Some were revisiting their childhood love of the franchise while others were discovering it for the first time. But cute little monsters aren't the only thing Pokémon Go is their first exposure to: For many of these players, it's their first time using augmented reality. And, based on their reactions, they love it. 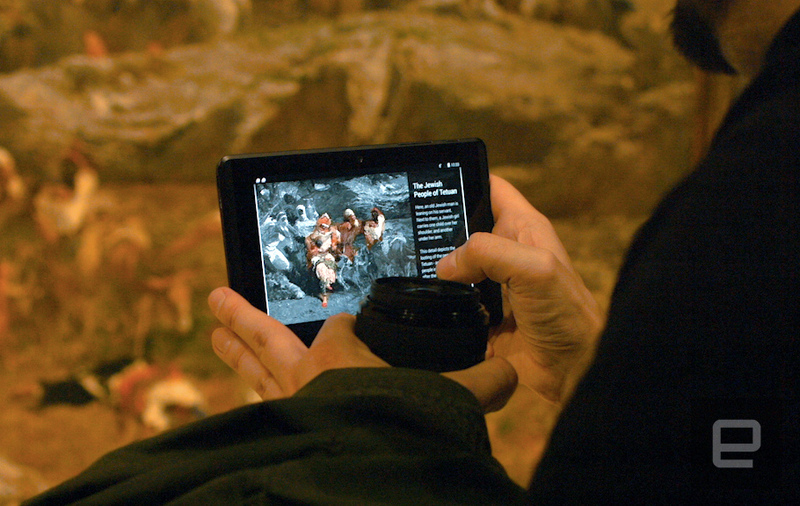 Augmented reality has been around in various forms for years, but it's failed to take the mainstream by storm. Sure, you can see what a kitchen remodel would look like or get more information about a work of art hanging in front of you, but these aren't things a person does on a regular basis. Most uses of AR have been tied to very specific experiences and locations rather than a person's daily routine. Instead, AR is more like virtual reality's neglected cousin. While consumer-grade VR headsets like the Oculus Rift and HTC Vive are available now, high-profile AR projects like Hololens are still only in the developer stage. Sure, there's Lenovo's upcoming Phab2 Pro, a phone optimized for AR usage. But Lenovo isn't a marquee name when it comes to phones and is unlikely to sell enough to make an impact. Pokémon Go, however, has exploded into a full-on phenomenon. My Facebook and Twitter feeds have been overrun by people's experiences with the game. As I walked around my neighborhood this past weekend I encountered plenty of people excited to catch Pokémon. A small child running with an iPhone in hand; his mother laughing at she tried to keep up. Three teenagers, standing outside my local library, discussing how to take over the Pokémon Gym there. I found myself walking by people with their phones out and turning to look at their screens to see if they were playing Pokémon Go... only to find they were looking back at me for the same reason. The reasons for some of its success are clear: The app is free, which means there's no financial barrier. It was released on both iOS and Android at the same time, which means nobody has to miss out on the initial excitement (unless they're one of the 1.1 percent running Windows Phone). And then there's the fact that Pokémon is an internationally recognized brand that once graced the cover of Time magazine. Fans have been clamoring to see the franchise on smartphones for years and, though the Pokémon Company has released a handful of apps, none of the games have really utilized the basic mechanics of capturing a plethora of fantastical creatures. The motto of the series for years was "Gotta Catch 'Em All," and if you were to talk to a layperson even remotely familiar with the franchise, they'd probably mutter those words at some point. It's only appropriate to make this mechanic the center of Pokémon Go. The whole process is extremely intuitive: When you see a Pokémon on the map you tap on it. Then you center the Pokémon on the screen, and flick Poké Balls at it with a swipe of your finger. The balls even obey the laws of physics, following an arc downward as gravity pulls on them. They even roll away if you miss (you pick them back up by tapping on them). The learning curve is incredibly small for this core part of the game. But it's the connection to the real world that really cements the experience for newbie players. They might not feel comfortable immersing themselves in a fantasy world with a lot of backstory like the Kanto region of Pokémon Red and Blue. Instead, Pokémon Go is asking them to take a closer look at something a bit more familiar -- the world around them. It's a lot less intimidating, especially to a newcomer. It helps that in establishing its reality the game firmly grounds itself in our world in ways that make sense to a player: Of course Water-type Pokémon live near rivers and lakes and Grass-type Pokémon are in the park. Of course notable locations like a historic house or mural would be a PokéStop. And, while there aren't many actual gyms serving as Pokémon Gyms in the game, heading to your local library or church makes a weird sort of sense too because these are important buildings to a community. 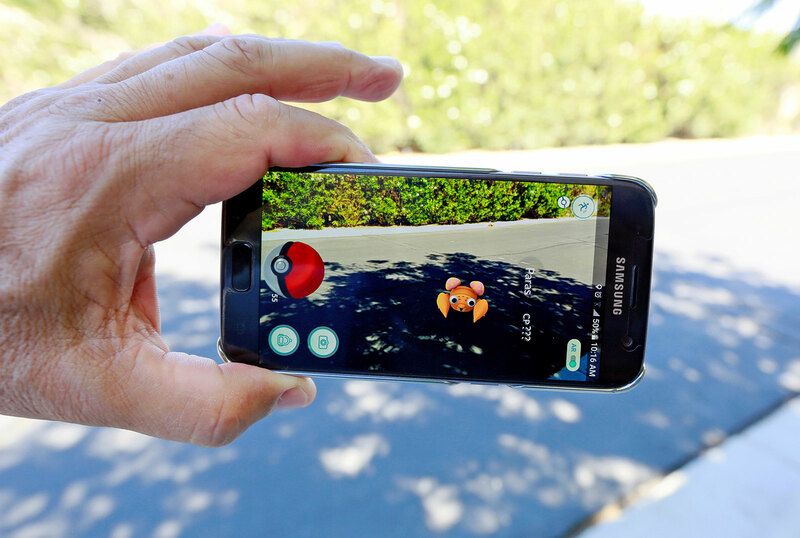 Pokémon Go is operating as a trojan horse for AR because it isn't touting itself as an enhancement in any way. It's not going to give you restaurant reviews when you look at a storefront, and that's fine because most people don't need an extra layer on the world right now. 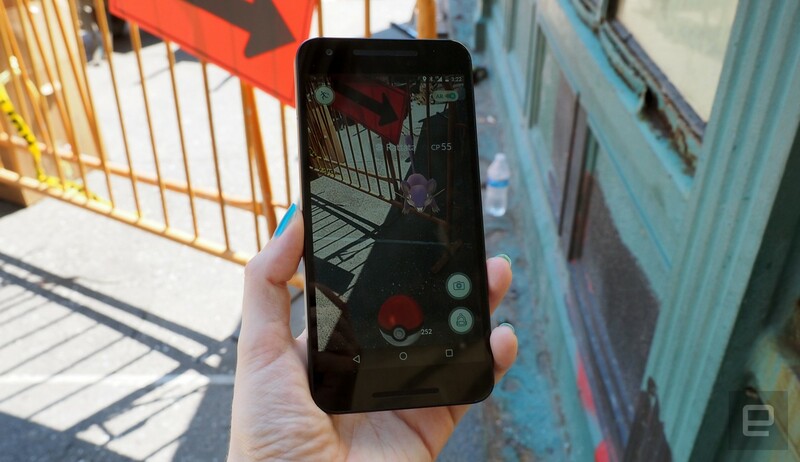 Granted, AR has its own pitfalls: Pokémon Go trainers have stumbled upon dead bodies, almost caused a few accidents and there's at least one case of late-night players being accused of drug dealing. However, smartphones are so ubiquitous that no one really questions seeing another person wave one around, and the ability to show off the game and easily explain how it works has rendered it mostly harmless. 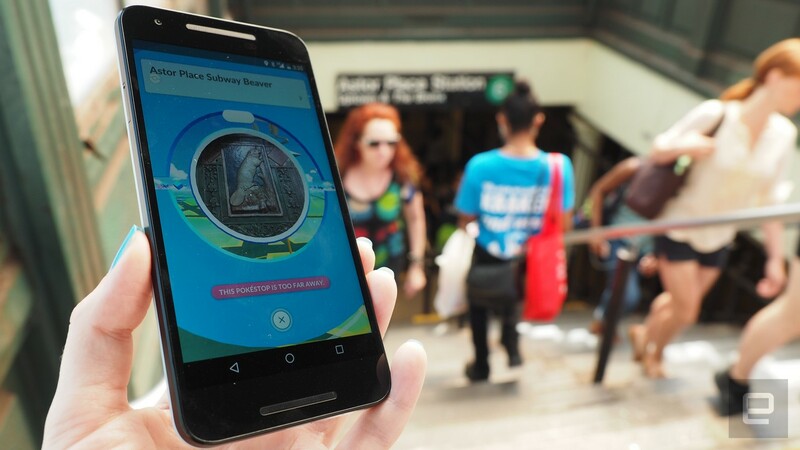 Pokémon Go is a great introduction to AR, showing people how the technology works and putting the idea into people's heads that there could be something more to the world around us. Right now those thoughts fall along the lines of "What if there's a Weedle behind that bush?" But, as people get used to the idea of pointing a phone at an object or place to reveal a hidden layer to it, it'll become second nature to them, paving the way for more substantial AR experiences.